There are specialists and experts studying from reasons for anger to teaching anger management. I had a fair share of my frustrations and its effects of anger. Learning to deal with anger practically has brought forth following assemblage of thoughts, suggestions and information. Anger is on rise in the young today and growing at an alarming rate. Learning to deal with anger at an early age is essential. Anger is very harmful and deteriorating for not only our health and happiness but also for our family and social life. Couples, siblings, children not getting along with parents, school children showing anger and bullying other children etc. It is all around us, even in the people of faith. They do not get along, one faction with other. Every one has anger Guru Arjan says, though he is known as apostle of peace. Ironically we can see anger in others but we can't see our own. Kām karoḏẖ jalai sabẖ ko▫ī. Root cause of Anger is frustration. One feels frustrated first, not resolving and holding the frustration for a while converts into anger. It collects inside you. More anger one collects, angrier the person becomes. As a reaction one does not only reflect ones anger towards the cause but towards any one, not even remotely connected. Anger could make you bodily sick and be deadly. Anger kills not the angry person but many more even innocent children and bystanders. This is what exactly happened in Las Vegas. An angry person took it out on harmless music lovers without discrimination. School shootings are also happening by teenagers for the reason of not learning to deal or control anger. Studies have shown that anger can actually lead to heart attacks and an increased risk of cardiovascular problems - perhaps not surprisingly, as a sudden burst of anger can cause an over-the-top surge of chemicals throughout the body, like adrenaline and noradrenaline. "During a bout of anger, the brain's amygdala overreacts; blood rushes to the frontal lobe, the area in charge of reasoning. But along with this impaired judgment, anger also brings with it dangers to your cardiovascular system. There are a number of physiological changes that occur in our bodies when we get angry." - Dr. Elizabeth Mostofsky, researcher at the Harvard School of Public Health. "Excessive anger can cause problems. Increased blood pressure and other physical changes associated with anger make it difficult to think straight and harm your physical and mental health." - Adapted from the Encyclopedia of Psychology. Sikh Guru's (teachers) have taught us to control 5 vices, if not dealt with carefully, they are of destructive nature. They can take away our happiness and make us mentally cripple. They are certainly most harmful and deteriorating for our health and happiness. Kām kroḏẖ kā▫i▫ā ka▫o gālai. We also have been given many remedies, and one of them is for me not to harbor anger in my heart for the other person, who may have caused me anguish. As proven by medical sciences, harboring anger, harms me too. Forgiving the angry person is, one's best option. It helps you. I find the bible actions, explanations, very practical and useful to manage anger. The Bible says that when it comes to some things, we should never delay. Jesus taught that reconciling with an offended brother should be done immediately upon our remembrance of the situation (Matthew 5:23-24). He also said to "settle matters quickly" with our adversaries (verse 25). However distasteful it may be to pursue peace with an enemy, we must avoid stalling. Similarly, we are instructed, "Do not let the sun go down while you are still angry" (Ephesians 4:26). Dealing appropriately with our anger is a matter of great importance, and we must not put it off until tomorrow, which will give the devil "a foothold" (verse 27). Some insight into why we have anger and how it works can help you better manage this raw emotion. There is much professional advise available from psychiatric and psychology today. Do you hold it in? Or do you let it all out? Anger doesn't dissipate just because you unleash it. Anxiety & fear are also associated with anger. We all know, fire is destructive; it burns whatever it touches and brings pain and suffering. Kām kroḏẖ lobẖ jẖūṯẖ ninḏā in ṯe āp cẖẖadāvahu. please, save me from these, O Lord. Anger is often singled out as the most destructive of the kleshas, because of how easily it degenerates into aggression and violence. Verily Anger corrupts the matter as vinegar destroys the Honey. Anger: It is a destructive fire! Kaṯẖan karoḏẖ gẖat hī ke bẖīṯar jih suḏẖ sabẖ bisrā▫ī. Kām karoḏẖ nagar baho bẖari▫ā mil sāḏẖū kẖandal kẖanda he. Most simple action for me is to write the reasons for my anger and actions I would take to get rid of the anger. How would I change the circumstances and conversations around me, not to be angry. Do not postpone to take appropriate actions or be a stubborn and not to resolve issues for your anger, which commonly people tend to do. Apologise, if you are wrong. Forgive, if you are not. Communicate, get to a neutral place. Let anger go for your health and happiness. Sikhi is a simplified-practical-perfect-way of life. Guru Granth teaches delightful living. Good for today Happy for tomorrow. We should make changes in our current gurdwara system. One should discuss and sing Shabads related to subject such as Anger. Subject for the day should be declared on the notice board so that members of sangat could come prepared for certain listening. Gurudwara should be more like a school-college where you have 1 hour class and continue the subject next week if not finished. Shabads should be sung pertaining to a Subject and explanation / katha related in contemporary context. Open discussion may also be held. 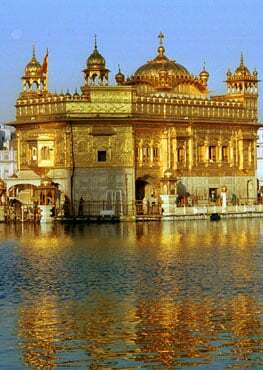 Come & go, as you wish, to Gurudwara, is not correct and does no good to you. Just as one has to attend regularly to learn a subject in a class, and going randomly is not even permitted. Learning has to be consistent and not random. Sangat means listening and communicating - not just hanging around. And mathatake / bowing your head to Guru Granth is to give value to the message. Which could only happen if one understands the message. Our Gurdwara managements should give thought to how to make a gurdwara an educational place rather than a social place or providing a popular Ragi, just to sing. If we do not make our gurdwara a better, rather best, school, we may fail on uplifting Sikhi for the next generation.